This is one auto that’s got it all. With blackberry taste and earthy notes of Kush, this strain offers compact buds that will seem to be dripping with resin. And it’s strong dark purple colour will truly impress anyone who come across it. 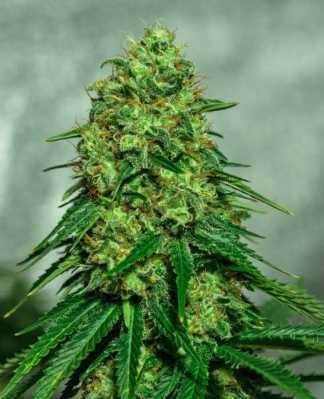 Autoflowering strains have made frankly incredible progress over recent years and are now reaching levels of quality which put them on a par with all but the very best photoperiod strains. 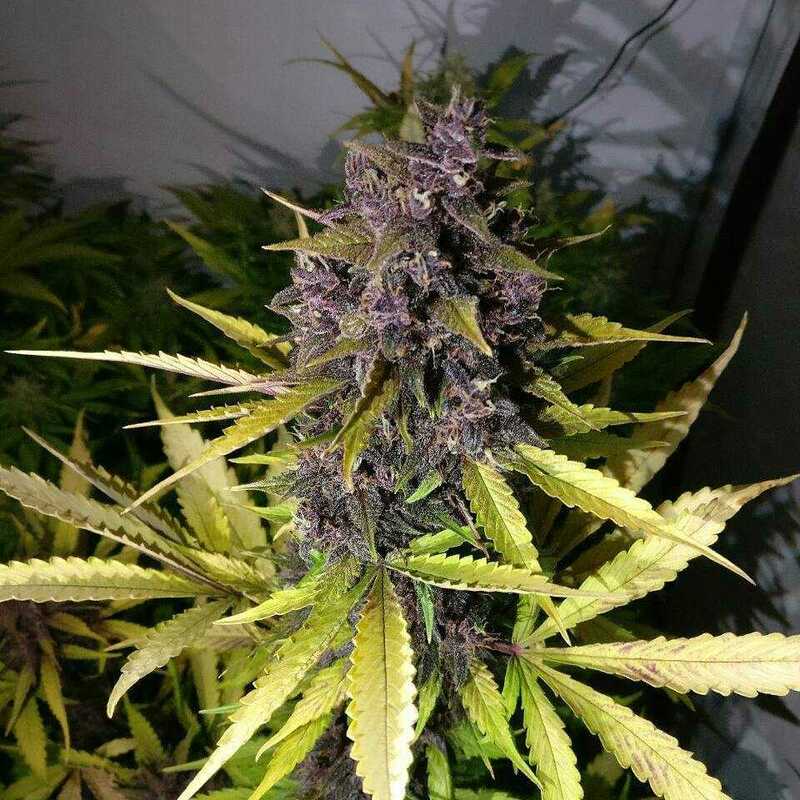 Auto Blackberry Kush by Dutch Passion is a terrific example of just how good modern autoflowering varieties can be. Like many of the “new-school” Indica (dominant) strains, Auto Blackberry Kush actually has a decent amount of THC, in the region of 10% to 15%. 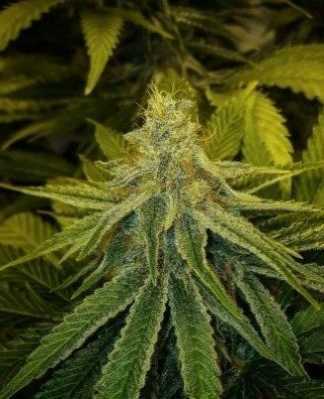 These days, that sort of level would be classed as medium on the grounds that there are now strains (like Gorilla Glue), which have literally over twice as much, but it’s worth noting that only a few years ago, this sort of THC level would have been classed as pretty decent even for a Sativa. 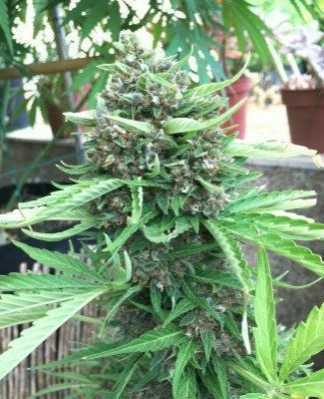 In other words, rating Auto Blackberry Kush as medium THC is more a reflection of developments in plant breeding than on its effectiveness at treating pain and emotional conditions. 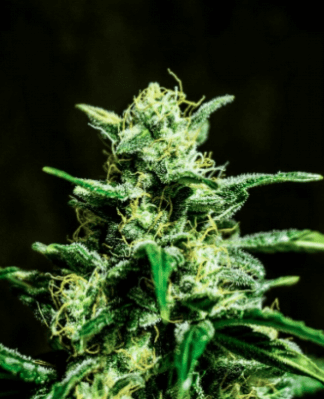 The fact of the matter is that you’re only likely to need one of the super-high-THC strains if you’re dealing with the most serious of conditions like acute migraine. 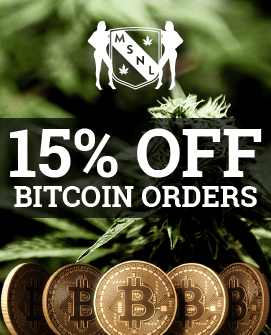 If you’re simply dealing with the likes of ordinary migraines, tension headaches, anxiety and so forth, then the sort of THC level on offer here will probably be more than enough for your needs. It’s also worth noting that, unlike many of the highest-THC strains, Auto Blackberry Kush does have a decent level of CBD too, so it combines immediate pain relief and mood-lifting qualities, with relaxing and sedative qualities too. This means that even although it’s probably best suited to daytime use, it could feasibly be used at night without leaving you buzzing around without any chance of sleep. In fact, while we wouldn’t describe this as an “insomnia strain” as such, we think it could feasibly be used to deal with stress- or pain-related insomnia in that the THC will deal with the issue which is preventing you from sleeping while the CBD will help you to relax into sleep. 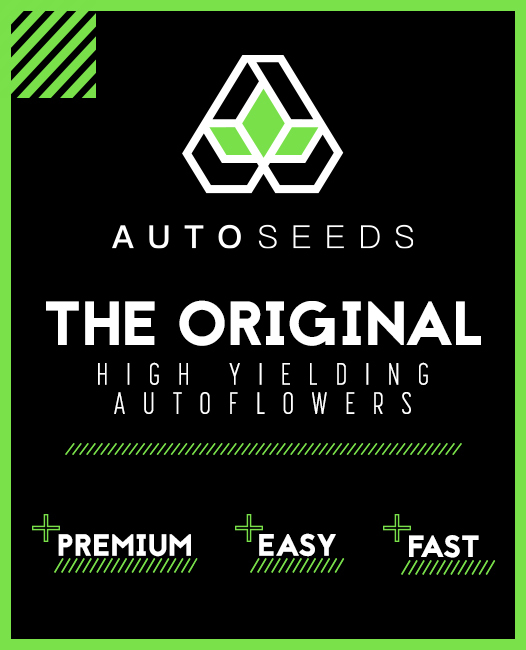 Yields are pretty reasonable for an autoflowering strain, coming in at around 400 g/m², the best growers may be able to push this up to 450 g/m². 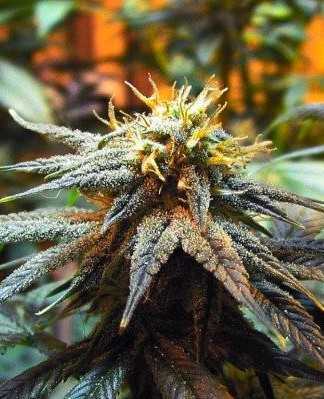 Auto Blackberry Kush grows in around eight weeks, which is fairly average for a modern strain. Part of the reason for this is because it stays fairly short. Left to grow as much as it wants, it is highly unlikely to breach the metre mark, in fact it may well stay at around 75cm. If you’re up for plant training, it can be made even more compact. 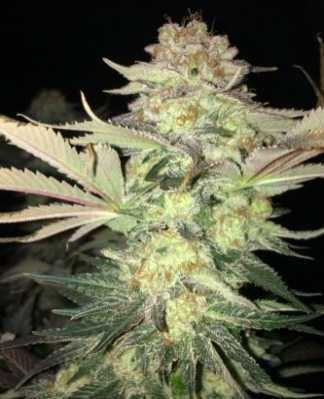 What it lacks in height it makes up for in side branches, lots of them, full of bountiful buds, hence the excellent yields for such a small plant. 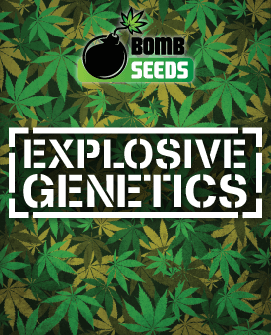 Overall, this variety is a good choice for anyone new to growing. 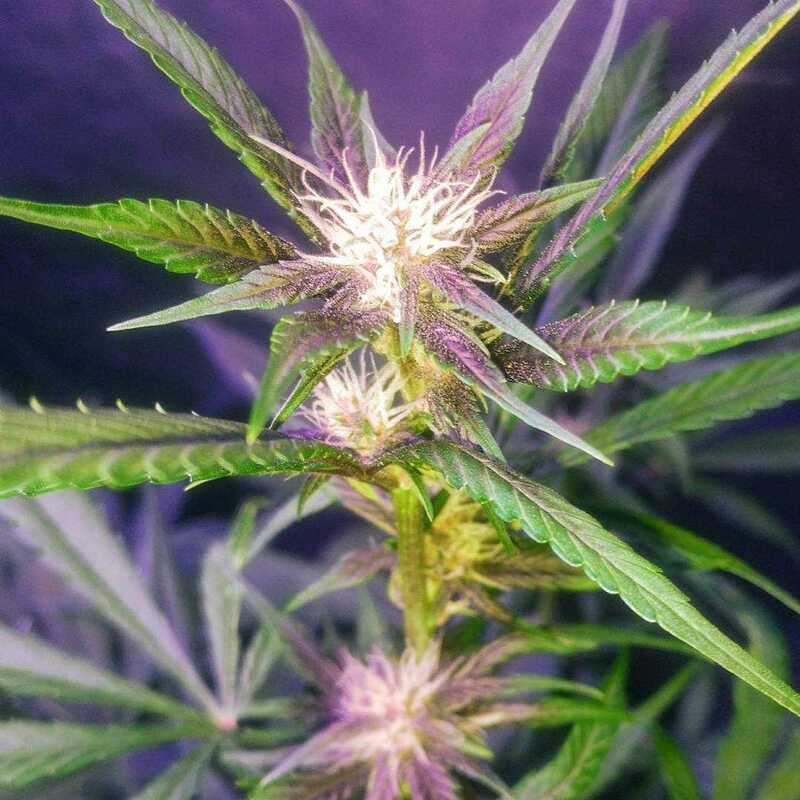 Because it’s an autoflowering strain you can “set and forget” your light cycles (20/4 is recommended) and the basics of plant management are very easy. Essentially, you want to take care of ventilation and odour control and obviously make sure that your plants have an adequate supply of water and nutrients. 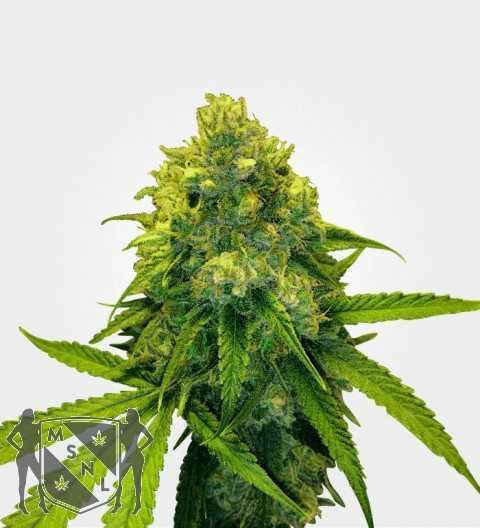 If you can take care of these basics, you should have a smooth, hassle free grow and of course, in the unlikely event that you do have any issues, there is plenty of help on the internet. When it comes to taste and aroma, the clue is in the name. 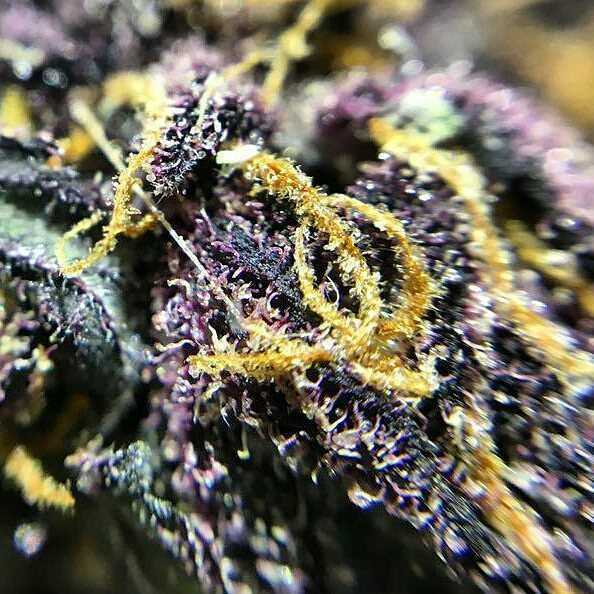 There’s plenty of mouth-wateringly sweet blackberry together with the classic kush earthiness to balance it out. Sometimes the fruitiness takes centre stage and becomes the main flavour, although there’s always plenty of earthiness to give it body, at other times, there’s more of a balance between them. When you hold a bag of Auto Blackberry Kush in your hands, there’s nothing obviously special about it, although all the signs of a quality weed strain are present and correct, namely dense, solid nuggets, which hold their shape until you choose to break them open. Once you start releasing that fruit scent, however, it’s a very different story. 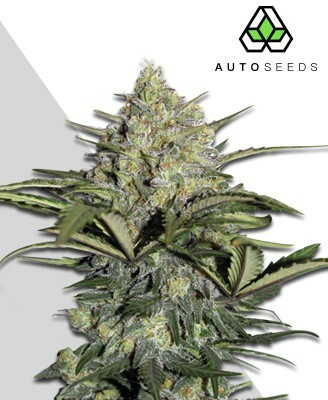 If you like blackberry-flavoured weed and you want a level of THC which is enough to be effective without being overpowering, then Auto Blackberry Kush could be the perfect strain for you and the fact that it’s so easy to grow is a clear bonus.